Provide comfort for the family of Dorothy Cole with a meaningful gesture of sympathy. Dorothy M. Cole, 85, of Potsdam, New York peacefully passed away Saturday afternoon, April 13, 2019 at United Helpers Maplewood Healthcare Center in Canton, New York. Dorothy was born June 27, 1933 in Theresa, New York the daughter of the late Russell and Ruth (Eddy) Pratt. She attended and graduated from Theresa High School and continued her education at Potsdam State College, where she achieved her Bachelor’s Degree in Education in only 3 years. It was while in college, she met her future husband, Robert Cole. They married on July 30, 1955 in Theresa. Dorothy started her teaching career after graduation as a kindergarten teacher in Nedrow, south of Syracuse. After her marriage, she and her husband moved to the Cleveland, Ohio area, where they lived for many years until returning to Potsdam. She continued her teaching at Madrid-Waddington Central School as a kindergarten teacher until her retirement. Dorothy was an active member of the Potsdam United Methodist Church and was also an Election Inspector for many years. She enjoyed quilting and figure skating, was an avid gardener, and had a great joy for traveling. 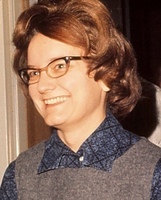 Throughout her life Dorothy remained active with many organizations, college, and community events in Potsdam. Her generosity to the community will be greatly missed. Dorothy is survived by her husband of 63 years, Robert; her children and their spouses, Patricia and Mark Lord of Sylva, North Carolina; Karen and Mitchell Pruzansky of Coral Springs, Florida; and Larry Cole of Lake Forest, California; her grandchildren, Joshua and Zair Lord, Cassandra Lord, Rita and Cody Hiatt, and Sarah Pruzansky; and great grandchildren, Juniper and Sophie. In addition to her parents, she was predeceased by her brother, Robert Pratt. A private service is planned with burial in Bayside Cemetery, Potsdam, New York. In lieu of flowers, memorial contributions may be made in her memory to the Potsdam Humane Society. To send flowers in memory of Dorothy M. Cole (Pratt), please visit our Heartfelt Sympathies Store. Donations are being accepted for: POTSDAM HUMANE SOCIETY INC.